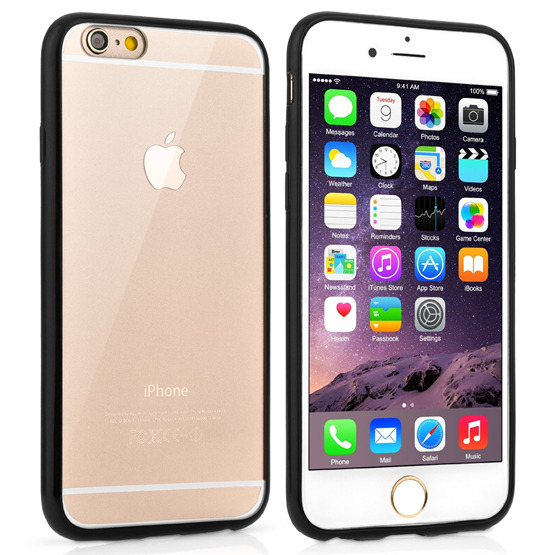 Looking for a lightweight but rugged case to keep your new iPhone 6 Plus free from damage? With this silicone/plastic combo case, you'll have the best of both worlds when it comes to both protection and functionality! 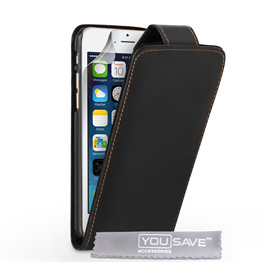 With the YouSave Accessories iPhone 6 Plus TPU Hard Back Case – Black, the vulnerable edges of your mobile are shielded by a shock-absorbing TPU gel bumper. 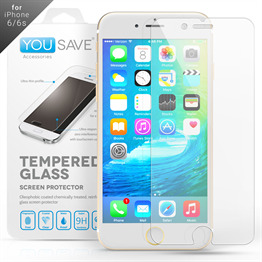 Meanwhile, a transparent back cover keeps all that shiny bodywork free from scratches. Your screen hasn’t been overlooked either: a raised edge keeps the display from coming into contact with surfaces – and we’ve also included a free screen protector. The two-part construction of this case makes it especially unique. 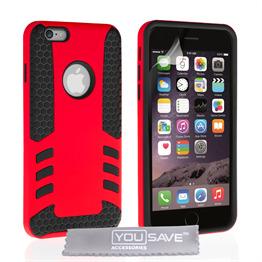 While the border of the case is made of ruggedized plastic, the back is made of sleek silicone. 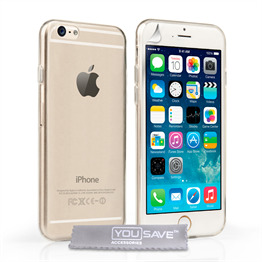 The two materials work in perfect conjunction with one another: while the plastic border makes the phone easier to grip, and reduces the risk of scratches, the lightweight silicone back makes the iPhone 6 Plus easier to handle and keeps it looking stylish! Every aspect of the case has been fine-tuned to ensure the best user experience. The four corners of the case are rounded slightly, creating a small 'pocket' of air in the empty space between the case and the phone. 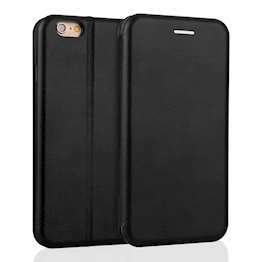 This means the case absorbs more of the force from impacts, reducing the damage that dropping your iPhone 6 Plus can cause! The 'lip' around the display is also slightly raised; this means that if your iPhone 6 Plus is placed on a flat surface with the screen facing down, the screen does not actually touch the surface. This is especially good if you drop your phone, because it makes it much less likely that the screen is going to shatter! Boasting a stylish, timeless design and some of the best protection against drop-damage, this precision-engineered border case for the iPhone 6 Plus is truly a must-have accessory!